Kickstand out, lock the handlebars, lift with your knees, and push. If you’re familiar with this process, chances are you already have experience utilizing crash bars. What kind of bikes are crash bars for? As Lemmy pointed out in his “sliders” article, street and off-road crashes will vary greatly in the surface as well as the speed at which the bike is traveling. While I have seen crash bar-type protection on some sport-styled motorcycles, that is atypical. Most often, crash bars are seen on heavily outfitted dual-sport and adventure bikes. Bikes whose propensity for crashing in difficult, off-road terrain, usually at modest speeds, outweighs the downside of a few extra pounds. While crash bars are typically found on ADV bikes, they are sometimes used on more sporting options, such as our producer Brett's Triumph Street Triple R. Photo by Spurgeon Dunbar. What do crash bars protect? While frame sliders are designed to keep expensive parts from hitting the asphalt, the job of crash bars is to disperse the force of an impact in the event of a crash. To this end, crash bars have multiple mounting points. This allows for greater distribution of the transmitted force, thus preventing the brute force of a crash from being transmitted directly to any singular point. Crash bars aren’t designed to make your entire bike impervious to damage, but rather to keep its most valuable components intact. Typically speaking, the engine, frame, and in some cases even the gas tank can be saved by the right set of bars. A nasty crash off-road might leave you with a twisted fork, smashed windshield, and bent handlebars, but if your engine and gas tank are intact, you can usually limp home. That is, unless you somehow manage to damage your tip sensor. The factory crash bars on the Tiger 800 XCx place the emphasis on protecting the engine. Photo by Spurgeon Dunbar. With that being said, all crash bars are not created equal and the extent of protection provided depends on the type of protection added. Certain riders prefer finding a balance between weight and protection and opt for thinner walled crash bars that only cover the engine, while leaving the upper areas exposed. On the other end of the spectrum, there are encompassing setups that engulf the entire front half of a bike. 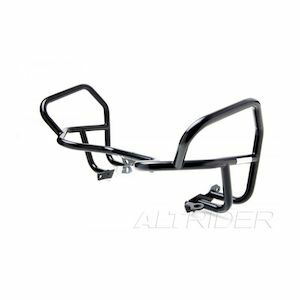 The type of crash bars you install on your bike comes down to your personal needs and riding style. If you are new to off-road riding and are just tackling light dirt roads at low speeds, basic crash protection will most likely suffice. However, if you are attacking off-road sessions more frequently and aggressively, a beefier setup might make sense. Just keep in mind that even the craziest setup cannot protect your bike from everything the trail will throw your way. What do crash bars fail to protect? 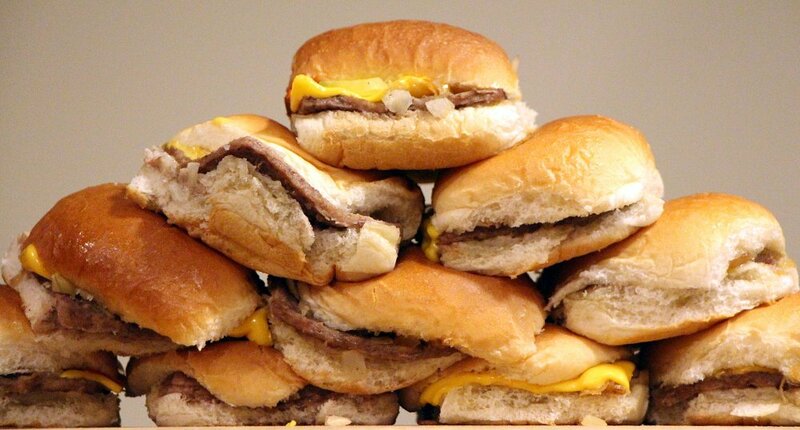 Plenty. I have the bent handlebars and smashed turn signals to prove it. Some items will always remain susceptible to damage. That is just one of the risks we take when we ride motorcycles. Fork tubes, rims, handlebars, and signals are on the front line for impending destruction in a rough-and-tumble crash and there is no real way to protect these pieces. Other components, like levers, radiators, oil coolers, and brake master cylinders require different kinds of protection. Crash bars can also fail to protect the most important component on your bike: the engine. Riders out there aggressively tackling rocky trails run the risk of crashing in that perfect way where a tall, jagged rock manages to penetrate an exposed opening of your crash bars. Depending on how lucky you are, you might end up with a jagged scar as opposed to a split engine case. The gas tank is another area of concern that riders often look to protect. While some bars are a bit taller than others and sit a bit further away from the bike to provide a protective gap, even in a moderate off-road tumble, the gas tank can still get dented and bruised. There is a large cost disparity among the different options on the market, and a lot of that stems from manufacturing techniques and materials. Let’s start with the latter. The majority of crash bars on the market are made from tubular steel of varying diameter and wall thickness. Engineers take both measurements into account depending on what they're trying to achieve. For example, a bar with a larger diameter might be used in a longer section for increased rigidity. This would allow for the bars to sit closer to the body of the motorcycle itself but will be more susceptible to localized dents or punctures that bars of a smaller diameter. Often times, you'll see manufacturers using a variety of tube sizes throughout one set of crash bars in an effort to find a balance between rigidity, flex, and the amount of energy transferred back to the mounting points. 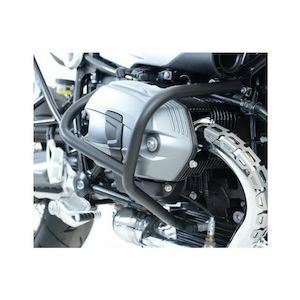 Note the lack of rust on the exposed stainless steel on the AltRider crash bars installed on our workhorse BMW F 800 GS. With the way Lemmy and I ride off-road, crash protection is a must. RevZilla photo. In addition to the diameter, the type of steel used is also a consideration. Some manufacturers utilize mild steel, which cuts costs over stainless steel but is also susceptible to rust. Being that most crash bars have some sort of coating, such as powder coating or paint, this isn’t an immediate concern for most riders. However, if you’re busy banging your crash bars off of rocks and ruts, you’ll soon expose the steel underneath. Stainless steel is less likely to rust even after the coating has been knocked off. Note the variation in overall coverage area, construction, and mounting design between the factory Triumph Tiger 800 XCx crash bars on the left and the aftermarket AltRider crash bars on the right. Photo by Spurgeon Dunbar. Overall assembly and construction are a consideration, as well. Certain manufacturers go to great lengths to create crash bars with over-engineered mounting systems that reduce the chance of cracking or breaking while transferring energy away from the engine and dispersing it evenly across the frame. The types of welds, mounting points, and overall mount shape all come into play when determining the best way to protect the bike in a crash. The SW-Motech crash bars sit tighter against the body and higher up on the body. RevZilla photo. In some cases, it comes down to the gross coverage area. Where manufacturers crash bars might only cover the engine, aftermarket options usually cover a greater surface area. It’s one of the reasons I ditched the factory crash bars on my Triumph Tiger 800 XCx in exchange for a tougher aftermarket option. The AltRider crash bars sit lower on the bike but flair out further away from the body. RevZilla photo. 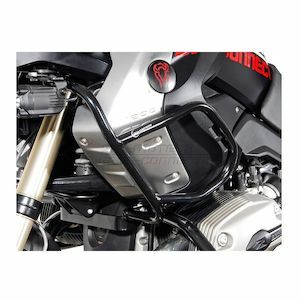 What crash bars are right for my bike? The first step in determining what bars are right for your bike is to see what is available for your specific model. If you are the proud owner of a shiny new BMW R 1200 GS, you’ll find no shortage of manufacturers trying to win your business. However, if you find yourself atop a 1989 Honda Transalp, you are going to have to dig a bit deeper. But, hey, that just makes your bike all that much cooler. Look at the different approaches to coverage between aftermarket crash bar manufacturers. Left is an AltRider setup on a 2015 Tiger 800 XCx and right is a SW-Motech bar on a 2012 Tiger 800 XC. RevZilla photo. Once you’ve narrowed down the options that will work with your bike, it’s all about choosing the bars which meet your needs and preferences. For some, it comes down to cost or color while others want localized protection that will encompass their engine as well as their tank. Think of crash bars as a piece in your protection puzzle. From new riders looking to outfit a well-worn KLR650 to veteran riders looking to complete the look on that shiny new Multistrada, there are different options for different needs. While you can’t keep your bike safe from every situation, crash bars used in conjunction with items like case covers, radiator guards, and hand guards will allow you to maximize your chances of riding away with minimal damage.